Music is a huge part of my life since I always listen to the new tracks or my saved playlist during commuting. 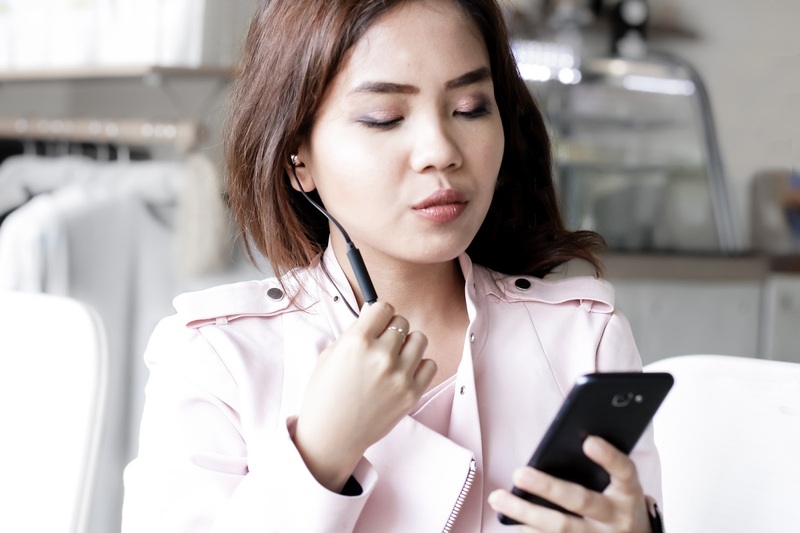 When it comes to gadget and in this case earphones, I lean towards something that is minimalist as well as having great sound quality. 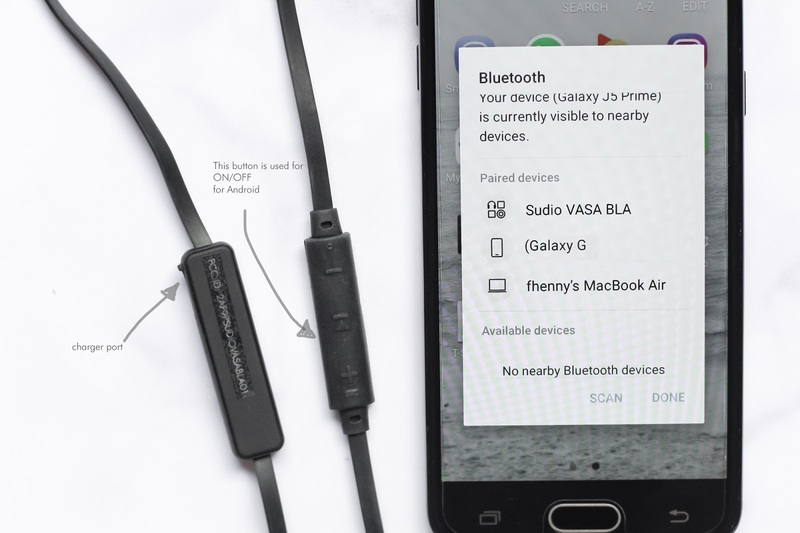 So glad to try the Sudio Vasa Bla as this bluetooth earphones are totally hassle free. Seriously hate it when my earphones cable get tangled, but not with this one. I really love how the earphone has gold cap near the earbud, flat cable (so you don't need to worry it will fray overtime) as well as its easy button. 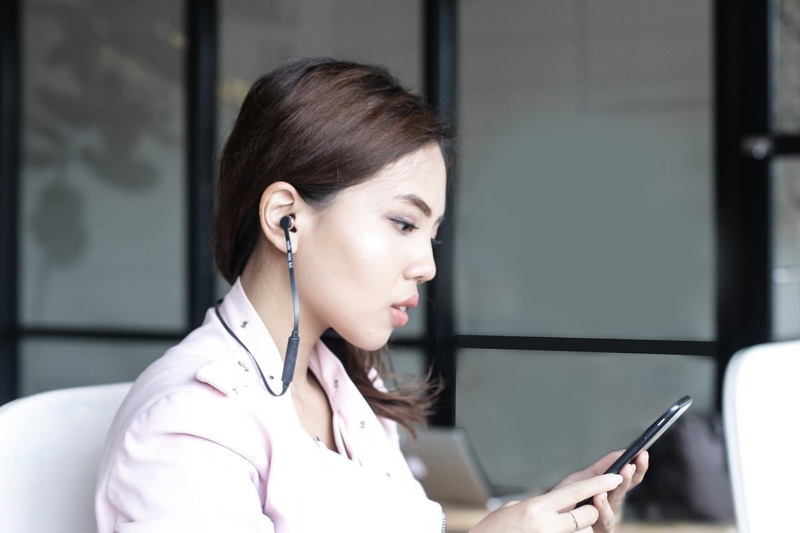 It cones with leather pouch for storing, metal clip, spare earbuds cover, charging cable, and user manual. 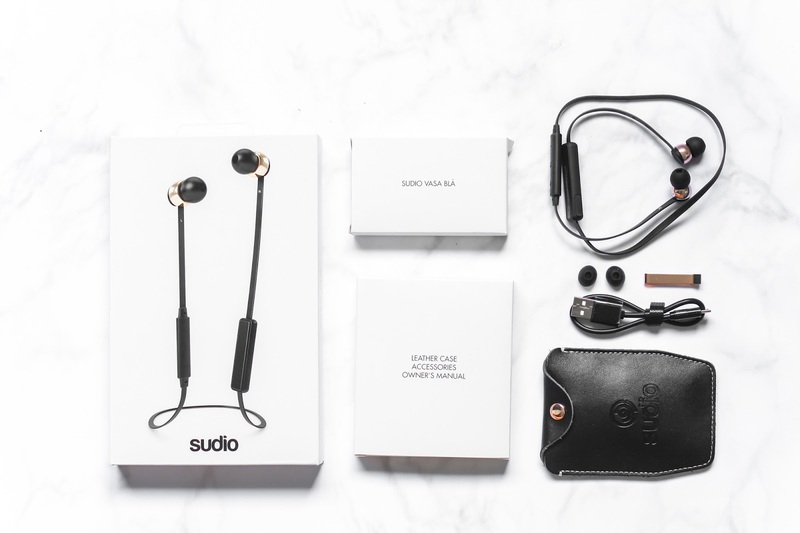 The Sudio Sweden earphones is so user friendly. You just need to turn it on and sync it with your phone for first time usage. It has 3 buttons that is used for on/off, pick up/end call, fast forward/ previous. Its battery is quite long lasting as well. I use it everyday during commuting, that's about 3-4 hours a day and it can lasts up to a week. Quality wise, I love how this earphone can enchance the bass as well as sound proof. 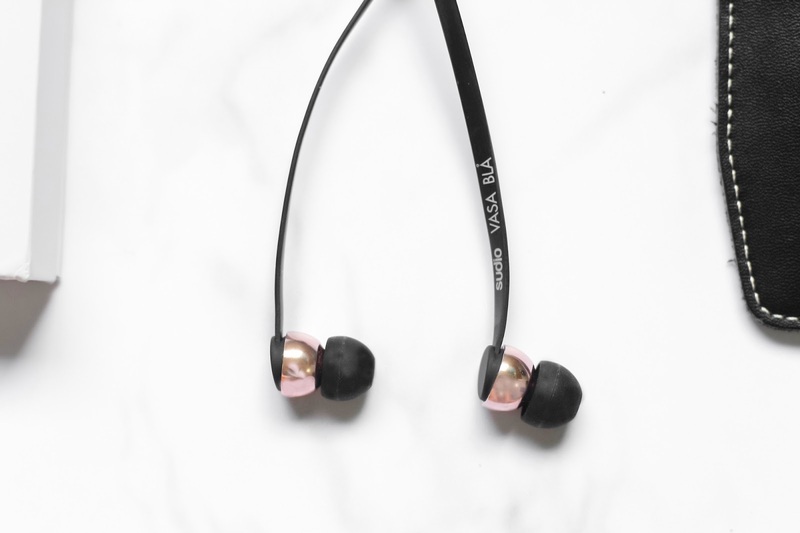 Perfect for running as well as it fits the ear perfectly and is not wobbly. 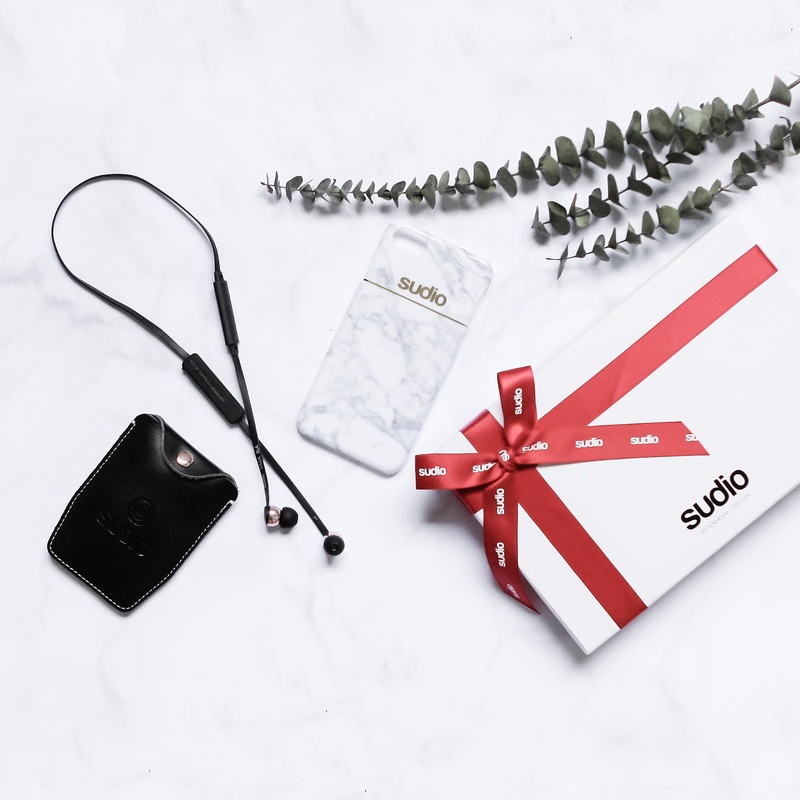 All Sudio earphone and headset is handmade based on Swedish design philosophy that are minimalist and timeless design principle. If you are eyeing for the bluetooth earphones, you can get a 15% off at their website with my code "stylefrontier". Other good thing is that Sudio sends everything for free, so don't worry about the shipping fee. Aside from that you can also get a 20% tax rebate. The item will reach Singapore in 3-5 days (express shipping). During summer, you can also get a tote bag for every purchase. Such a great deal right? What's on your playlist? share it with me in the comment! you take great blog photos, as always! those headsets are really cute! Pretty! I have similar ones that I really love. Having music at all times is really great. I love the look of these and the metallic accents! Too cute!